Dr Moshe Feldenkrais was a great pioneer and researcher who developed many remarkably simple, gentle movements to benefit those who could not bend or move with ease. This is something you need to experience yourself. This wonderful process has brought about quite miraculous changes for numerous people. 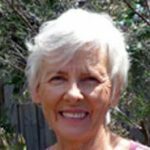 Rhonda Ohlson is a Feldenkrais practitioner with many years’ experience. Please bring a mat or towel to lie on. FEE per session: $14 or $98 for 8 sessions. No booking required – Just come along.